I recently tried The Thinking Cup for the first time, after it came highly recommended. I was excited to see that they serve Stumptown coffee (one of my favorites) and they have plenty of gluten free options! 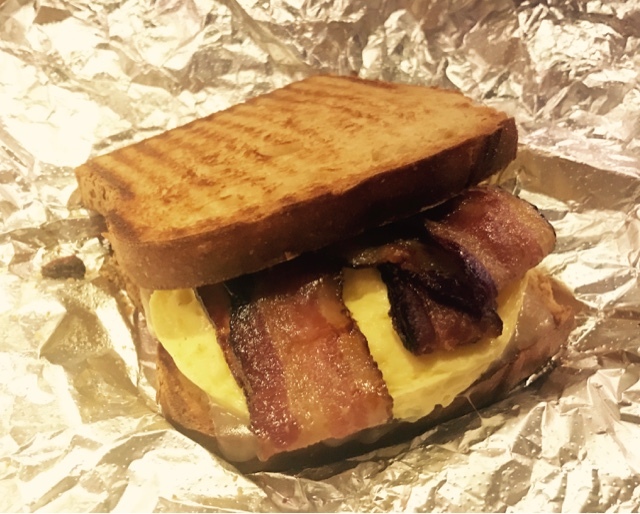 I ordered a breakfast sandwich - bacon, egg, and cheese on gluten free bread and it was excellent! The eggs were fresh and the bacon thick and crispy. In addition to breakfast sandwiches, The Thinking Cup had a great lunch menu and selection of pastries (including gluten free). I can't wait to try them again soon!